More than 33,000 government school students returned to the classroom this week, ready for another successful year of learning. 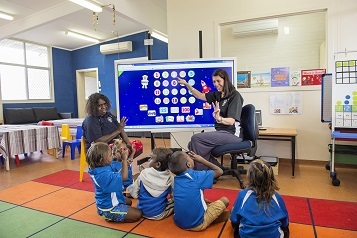 At the beginning of each school year the Northern Territory Government provides a $150 Back to School voucher for every eligible student to help parents and guardians buy educational items from schools. The contribution helps families with the costs associated with returning to schools including uniforms, stationery, textbooks and school excursions. Families are urged to check with their child’s school to confirm how the allowance can be used.